Villa Avus is a new retirement home located in Chihuahua, México. Here, the siniors can spend their time and live, as guests in the house in where they have delicious food and quality services, but there is also a space for workshops and activities in where other people can participate although they are not guests of the house. The concept of this house is similar to that of a fraternity. We wanted those who are part of this house to feel proud and happy to share pleasant moments with a light sense of healthy competition and fun. The house has a peak-shaped roof. 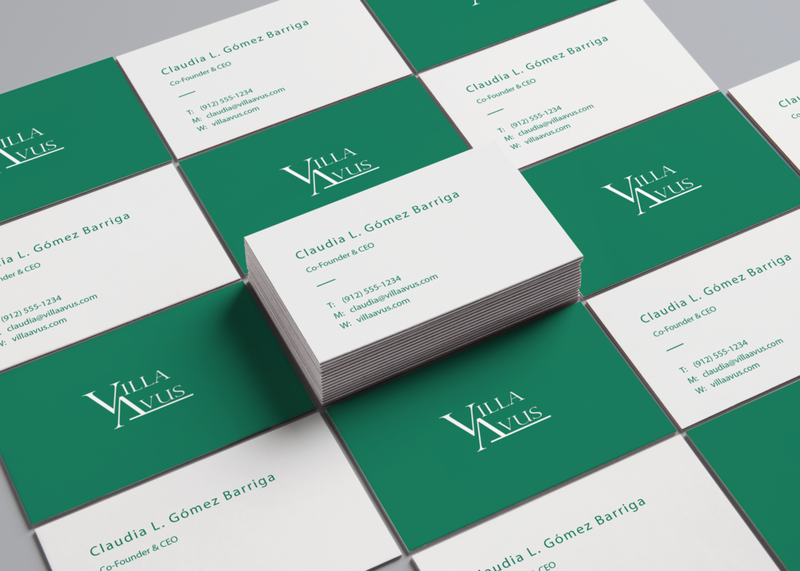 Therefore, the manager and owner of the business, Claudia Gomez, thought it would be a good idea to use that form as part of the name to pretend a village. We explored different types of logo and markets to ensure the branding to be original and represent all the values, mision, vision and philosophy of this new business. It seems very important to differentiate our branding from the others. I like to get out of the box to look for original ideas that other people in the city would not use. Chihuahua is a conservative and complex city but there are small niches that we can cover. I like to think about how the user feels, not just the client. In the case of a retirement home, it often happens that the person does not want to be there. This new concept of fun is an alternative for an unattended market that, in addition, we want to be very very happy. It is a natural matter of life that in this hasty world the siniors get bored because also marketing has no many options for them. 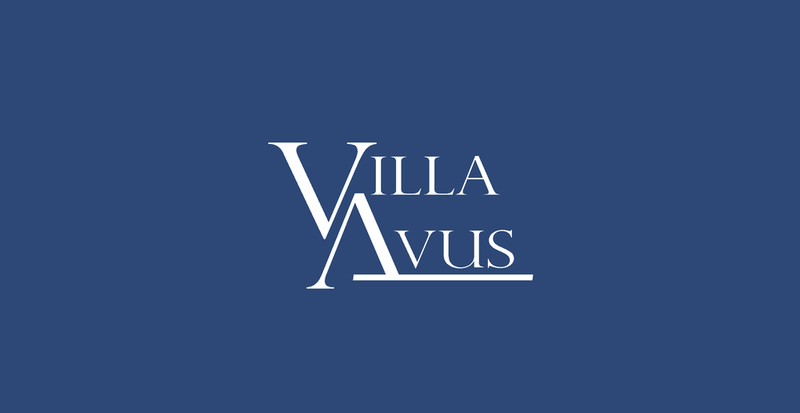 Villa Avus is a solution for all those who want to live together new adventures, also for people who has a normal life in their homes but wants to know more people after retirement. 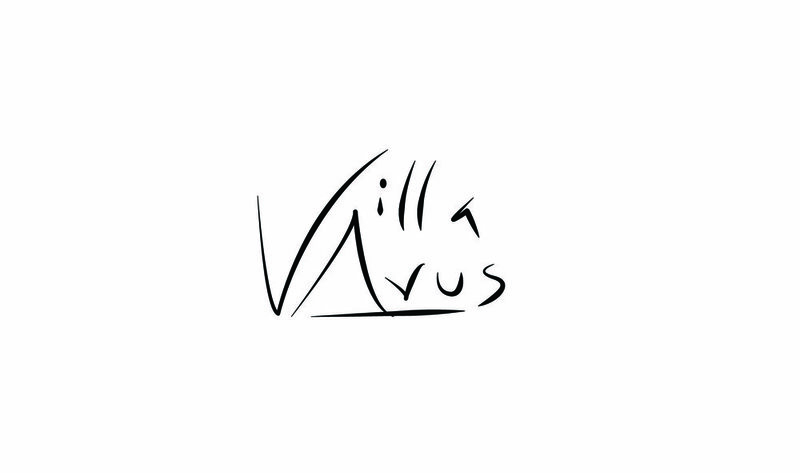 The Villa Avus' Pallete is cold to make it formal and sober. 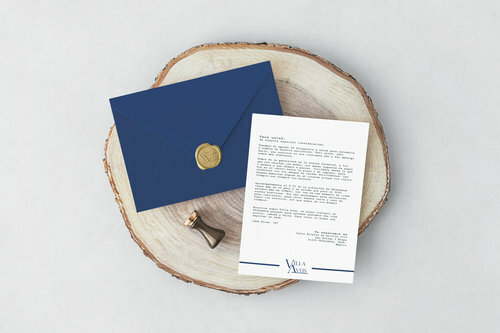 We want things to be as formal as possible to attract a serious and elegant consumer who can feel part of a fraternity. But at the same time some of the colors are saturated to give a touch of health and joy. The main color is dark azure color also known as "Fun Blue" (1). This color allows us to experiment with confidence and elegance. It is also a color known for printing and painting stores which makes the customer can solve it and handle it even in a small city like Chihuahua. The deep sea green color (4) would also be used as an alternative for some product line. Alternative colors are only for combinations or moments where it is necessary to add more tones. I like to be specific in the colors I use since the brand is based on them. But I also give the customer options so in the future they can know what to choose if they need a change. 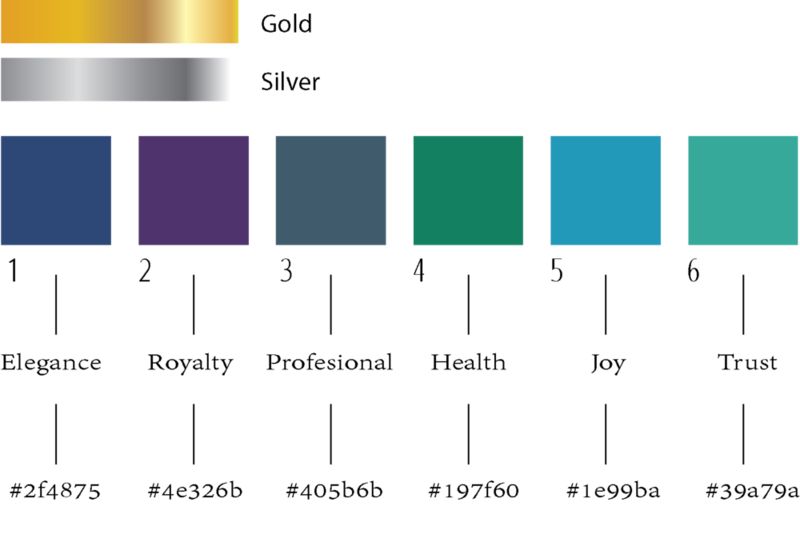 The most complex part of having a brand like this is the administrative staff who, in many cases, do not know how to handle the color or choose it from the lists. That's why we also send files with the information of each color and we suggest to ask us if they have any consern. The village must be a place that, even though it is in the city, is quiet and isolated. Advertising is always directed with respect and with a classy language. In Mexico, in Spanish, words like "you" have different uses according to age. We always address ourselves with respect. (The commercial is in spanish since the client was a Mexican brand). I believe that statistics and realism give the client confidence to trust us. I always use statistics to understand the market and the interaction with the potential client. We look for real data to make our commercials and convince people of the problems that most "Baby Boomers" (the user) are currently facing. We also use things that this generation lived and bring back memories. We make use of nostalgia to attract people and new consumers. In the brainstorm of the campaing, we agreed that for us it is important that the client and user know that we know them and that we have a great passion for our work. In that way they also know that we are committed and our intention is to support them so that thery can achieve goals regardless of age. We try to mention age as a privilege and not as something negative, because we believe that age is experience and that is invaluable.